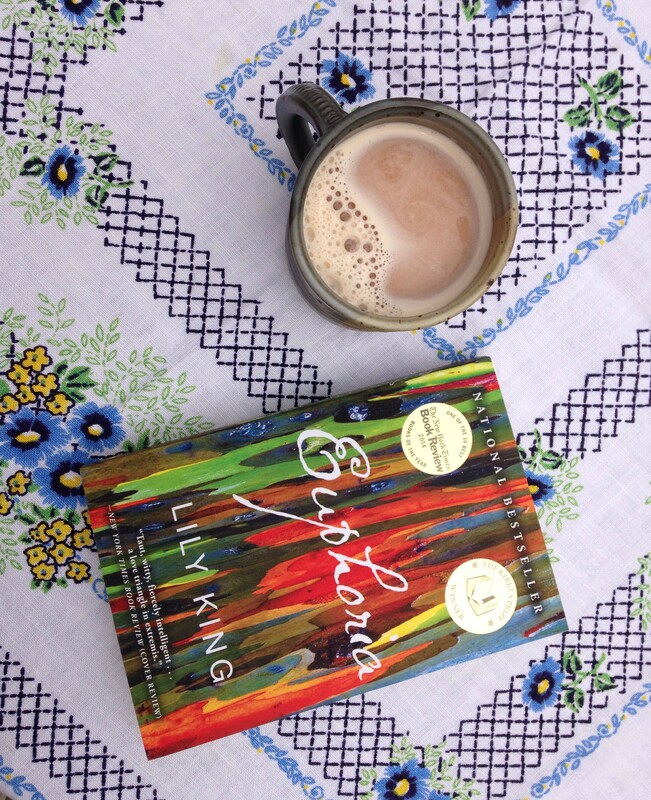 I just finished reading Lily King’s fantastic new novel Euphoria, based loosely on events in the life of anthropologist Margaret Mead. Inspired by the brief months in 1933 when Mead conducted fieldwork in New Guinea along with her second and third husbands, King changes the three characters’ names — and aspects of their lives and outcomes. I read Euphoria outside on the back porch over the course of the last few weeks. It’s one of those books I’ve read slowly by design. There’s a lot Lily King does here that I want to absorb. King keeps a close lens on her three characters, chronicling their mounting sexual tensions and the tight, confined spaces they occupy. There’s a compression in the storytelling: the novel takes place over the course of just a few months in remote villages linked only by “tiny dark canal(s)” and “close corridor(s).” This compression creates a tension so taught the novel veritably vibrates. Yet beyond these threads of narrative momentum is the fascination and sheer pleasure of the characters’ anthropological thinking. And our interest is not limited to the vivid, enticing exoticism of the fictional cultures the characters are studying, which we glimpse through the periphery of the novel’s unfolding. Even greater pleasure comes from the characters’ intellectual calibrations, their grappling with anthropological methods and theory, their attempts to redefine their places in the evolving field of anthropological endeavor. Bankson (the fictionalized character based on Mead’s third husband) problematizes the role of the anthropologist in a way that anticipates modern anthropological thinking. And there is a nuance and expansiveness of thought in Nell (King’s Margaret Mead character). She integrates her progressive thinking about agency and perception into innovative new field practices with a confidence that feels staggering. King changes a lot about the three characters’ life stories — improvising certain hidden aspects of their backgrounds, wildly changing their endings. And yet I wonder whether her portrayal of their intellectual lives alone might serve as an impetus to change the characters’ names. It’s a heady business to fabricate and inhabit a serious thinker’s thought. And Mead is in King’s rendering, as in life, a formidable thinker about anthropology. She is also a confident inventor of possibility in her own life story, bold and unrelenting in her willingness to carve out a space for herself and a professional and personal independence. But in the novel’s ending King departs sharply from Mead’s biography.